I bought a bag of Jerusalem artichokes on a whim and wasn't quite sure what to do with them. Thanks to EYB I came across Breadcrumbs' note and made this for a dinner party last night. It disappeared in minutes! I decided to finely chop the rosemary rather than leave the leaves intact as suggested, as I find the flavour is too intense and you feel like you are eating twigs. This practical cookbook starts with the basics of cooking, with ingredients such as fish, eggs and vegetables through to more complicated combinations. 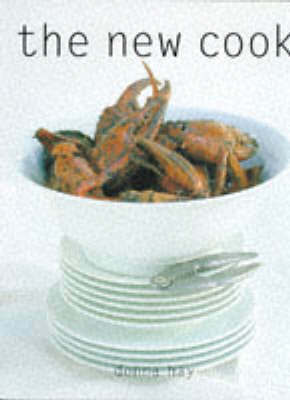 The book encapsulates all the styles and subtleness of contemporary international cooking in a straightforward manner. Donna Hay emphasizes how cooking flavoursome food at home does not need to be complicated and time consuming. The recipes have short lists of ingredients, and focus on cooking the meal in a few easy steps, plus the food is naturally low-calorie.